Above: The Barella family circa 1939. 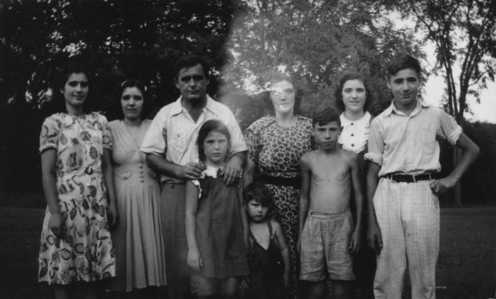 In the back row, from left to right, are Emma, Catherine, Clorindo Senior with his hands on Rose's shoulder; Frances, Theresa, and Richie. In the front are Rose, Clorindo Jr. (Joe), and Ernie. Select image to enlarge. Clorindo was born in 1888 in Torino, Italy. He came to America with family when he was 10 years old. He purchased a tavern on the Main Street bridge in Torrington, Connecticut until 1919. The building was destroyed in the 1955 flood. When the 18th amendment (prohibition) went into effect, he went into other occupations including the building trade. He did not, however, get altogether out of the alcohol industry - instead, he began manufacturing hard cider. The illegal nature of this venture assured high profit during the roaring 20's. In 1924 Clorindo purchased a mansion in Bakerville in the town of New Hartford, Connecticut. He was able to buy it cheap from the state, who had put a lean on the property when the prior owner had financial issues and had not paid taxes. Initially the former owners continued to live in the mansion, renting the building, while the family lived in the equally large (though not so posh) servants quarters next door. The deal included 400 acres of land. 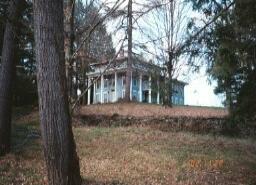 The original residents eventually moved out, and a speakeasy was set up in the mansion. Later, after prohibition ended, the family alternately lived in the servants quarters or the mansion, though there is no clear reason why they switched occasionally. The family made excellent use of the facilities which this land granted them. Shortly after moving in, Clorindo had a phone installed and began a business supplying wood for heating purposes to the region. Later, after the former residents had left the mansion, Clorindo set up a speakeasy in it stocked with homemade hard cider. Later, a small speak-easy was constructed about a mile north of the house on Shady Brook Road. Since they didn't have an orchard (or was it of limited size? ), they took occasional day trips to New York State to harvest apples. The whole family would go to help pick apples, bringing a full truckload back at the end of the day. On the up-and-up side, Clorindo also negotiated contracts with several area school districts to provide wood for heating. Trees were harvested from the family lands, then cut and delivered to the school for winter heating needs. They also raised corn and a variety of crops, and raised chickens. In summer, parties were thrown on the lands for those who could afford them. Rich folks of Hartford could have their parties in the fresh country air, and have a feast of fresh farm-raised chickens and vegetables. The children were expected to help with the preparations, with an assembly-line like process set up for the plucking of chickens in preparation, and also to help with the dishes and cleanup afterwards. Frances did all the cooking. In [year], Clorindo suffered a stroke caused by a cerebral hemorage. It occured on the right side o the brain, and consequently he lost use of the left side of his body. They stayed on the farm for a duration, and Dr. Polito would visit the farm to tend to Clorindo. However, in 1952 Dr. Polito's car broke an axle due to the primitive roads, and he refused to make the trip to Bakerville any longer. 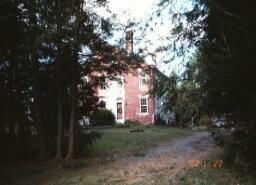 The family consequently decided to return to Torrington, settling in a house on College Avenue. There Clorindo and Frances stayed, along with their daughter Catherine. Clorindo passed away in 1958 at age 73. Frances passed away in 1983.